The Silver Whisper offers dozens of different shore excursions, both the group and custom variety. Book them online before the cruise. Or do it onboard at the Shore Excursion desk. You can also book excursions directly from onshore agents or tour operators. This method usually saves money. But be aware that going independently creates some risks. For example, if the tour vehicle breaks down and you miss the ship's departure time, the ship might sail without you. But a cruise ship will wait (or arrange free passage to the next port) for those booked on its tours. 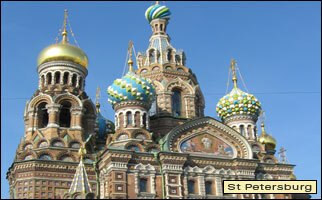 Click links in the left column for my candid tips and insights on the top 5 Baltic cruise ports. Also read my shore excursion advice web page in my general cruise guide. For more Silver Whisper activities, read my Bar, lounge & entertainment and Pool, spa, and fitness web pages.